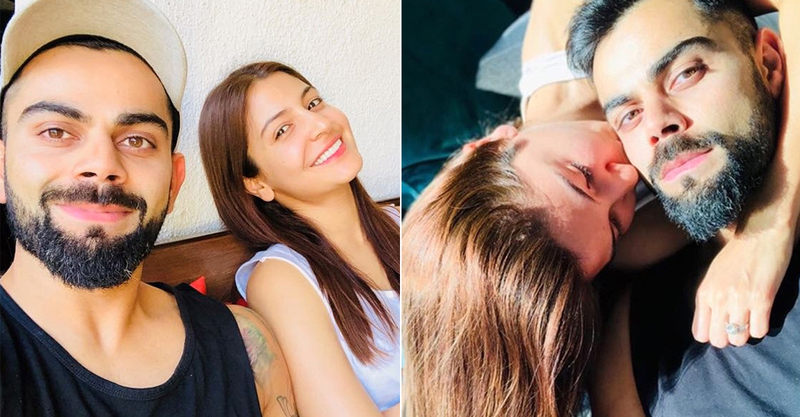 Bollywood actor Anushka Sharma and ace cricketer Virat Kohli, who got married in a secret ceremony in Italy last year, have always been in news even before they acknowledged their relationship in public. Virat, especially, ensures that all his statements regarding Anushka are full of respect and love. In a video that is going viral online, Virat is seen telling an interviewer that Anushka Sharma is the “captain” at home. “She is very passionate about the game. She understands the game and she can understand the sentiments of all the players, what they go through and stuff, which I think is the most beautiful thing,” Virat added. The country’s most adored couple often shares pictures with each other on social media and the latest example is just too cute. Recently, the cricketer posted a paparazzi picture of himself with his actor wife, “Such a stunner, Love of my life! @anushkasharma,” he captioned the photo with ‘heart-eyes’ emoji. The couple looks like a monochromatic dream with Anushka seen in a black dress and Virat in a crisp white shirt. Anushka is now working with Varun Dhawan in Sui Dhaaga and with Shah Rukh Khan and Katrina Kaif in Zero.